Our delicious Lindt bunnies are multiplying like, well, bunnies. Please forgive us if one happens to stowaway in your gift hamper or bouquet! It's UK Father's Day this Sunday, June 15. If you have a dad in the UK, don't forget to send him a little love. Browse hampers for the UK here, and flowers for the UK here. Don't forget our free delivery! Orders must be received by Wednesday 11 June. Alstroemeria . . . what's that? A question we are asked frequently by customers who call to order flowers. Alstroemeria is a plant native to south america, and now successfully cultivated world-wide. Also known as the Peruvian Lily, alstroemeria produces small lily-like blossoms in a huge variety of colours, with the petals usually featuring stripes or spots. Quite possibly one of the most under-rated and under-valued flowers around, alstroemeria is a favourite of florists due to its delicate, pretty blossoms, and its extraordinary longevity! Hybrids commonly grown today result from crosses between species from Chile (winter-growing) with species from Brazil (summer-growing). This strategy has resulted in plants that flower year-round. Alstroemeria come in almost all colours, except for blue. It seem's we've barely had a breather from the double whammy that was Easter and Anzac Day, and already another event is upon us: Mother's Day! This year it falls on Sunday 11 May, and we've prepared a number of exciting new gifts for deserving mums. Check them out here. If you're keen to design your own gift hamper for mum, you can always create your own hamper. We have a variety of items that are perfect to send, such as candles, gourmet food products and luxurious pamper products. These items are also ideal to send along with a gorgeous fresh bouquet. We first saw a picture of these adorable little Easter Chick buns on Pinterest. Detirmined to learn more, we eventually found the original image and recipe from a blog that's published in Bulgarian. nuts, pepper, raisins, cloves etc. Knead the dough and leave covered for half an hour. Shape dough into individual 70g balls. Form into bird shapes as directed in the video. Place on a tray lined with baking paper and brush each roll with glaze. Bake at 200-220 ° C until golden. Want to win our adorable Bucket of Bunnies gift hamper for Easter? Simply Like us on Facebook, and tell us your favourite Easter tradition in the comments section of the competition post. The best answer as judged by About Giving will be selected on April 16, and the gorgeous gift hamper will be sent out to the winner just in time for Easter! All customers have the option of including a message with their gift hamper or bouquet. 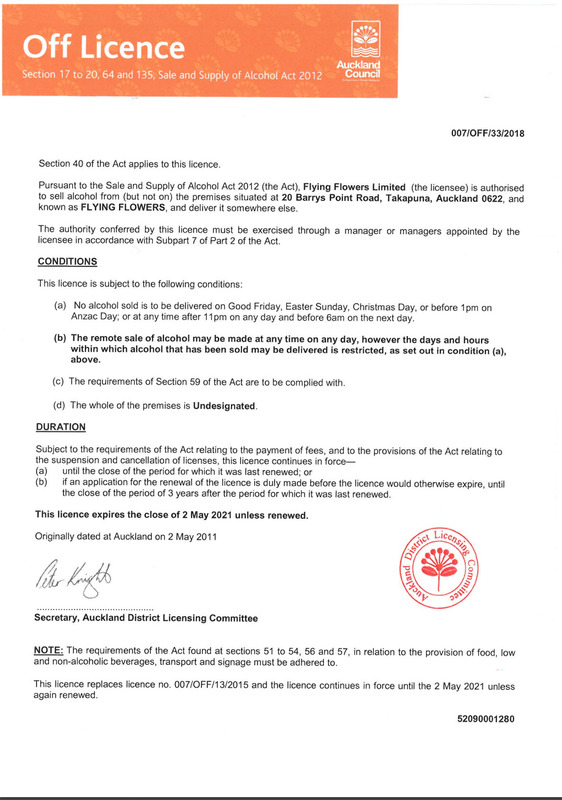 These messages are printed on the reverse of the address card, which is then attached to the gift hamper or bouquet (when sent locally in Auckland) or to the exterior of the box (when sent nationally). See our images below for an idea of what your gift card will look like. Customers frequently ask for advice when it comes to the gift card message, especially if their gift hamper or bouquet is being sent to acknowledge a difficult event such as a bereavement or illness. We believe it is always a good idea to keep your message short, sweet and simple. Your aim is to let the recipient know they're in your thoughts, and the gift is generally there to try and ease the burden of the situation, or provide a small relief from the difficulty of the event. You are in our thoughts during this difficult time. it's often a good idea to include your full name on the card. Under the circumstances of a bereavement, your recipient will likely be receiving a number of letters, messages, phone calls and gift baskets or bouquets. This doesn't make your gesture any less personal or thoughtful, but including a full name might prevent your recipient getting confused during a difficult time. Phrases such as 'chin-up', 'keep smiling' or 'look on the bright side' may be perceived as a little insensitive on occasions such as beareavements, illness or personal upsets. You might not want to sound too serious or emotional, but simply letting the recipient know you're thinking of them with love during a difficult time is usually the perfect sentiment. Including a kind comment or personal anecdote about the deceased in your message is a nice touch. For example: We will miss Michael greatly, and will fondly remember lovely summer sailing trips, and Michael's superb fishing skills and delightful company.